On the U.S. Army flickr page they posted this yesterday. He’s wearing them to protect his eyes from the crap blowing around while a Chinook takes off/lands. I think they look rather snazzy. 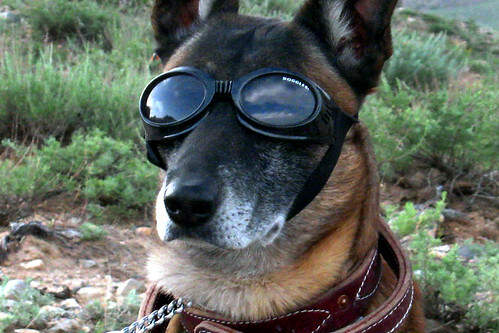 This entry was posted in Uncategorized and tagged doggles, U.S. Army. Bookmark the permalink.